So, let’s do it. Click here to volunteer or here to donate. If you are concerned about the way they use their resources, find a candidate and donate directly to that campaign. 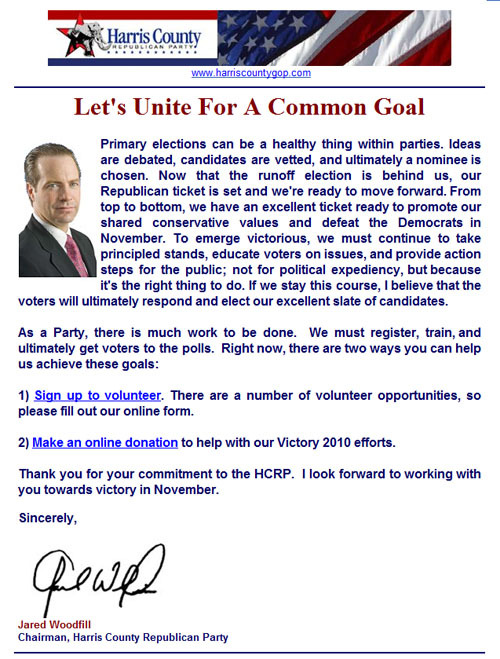 I can assure you that all of the campaigns can use the funds; I can’t assure you that they would use your money any better than the HCRP. As for the volunteer link, we’ll, I’ve signed up several times over the past three years and never received a request to help but perhaps after the last primary, things will change. Test it and see. If you don’t get a response, find a candidate and help them directly. That is what I’m doing. It was a long and eye-opening primary, and I think that perhaps Jared will change. Don’t equate Jared with certain members of his team. I’ve found Jared to be a person of integrity and I wish other politicians were as tough when it comes to absorbing blows and understanding that it isn’t personal. Did you know that Jared wrote a book with his father and brother? Well, he did. A collection of Proverbs, looking for a man of integrity. I think Jared is a man of integrity and I’ll tell you why. As I noted, Terry Lowry decided to get really nasty on Facebook. And I noted that I asked Jared to stop it. I asked him to be that man of integrity that he talked about in his book. And he did stop it. Immediately. After that, the campaign was still spirited and in the end somewhat negative, but it never again sank to the depths that Mr. Lowry wanted to take it. And for that, Mr. Woodfill, I thank you. Now, go win some elections!